AEE 1144: Are You on an English Kick? 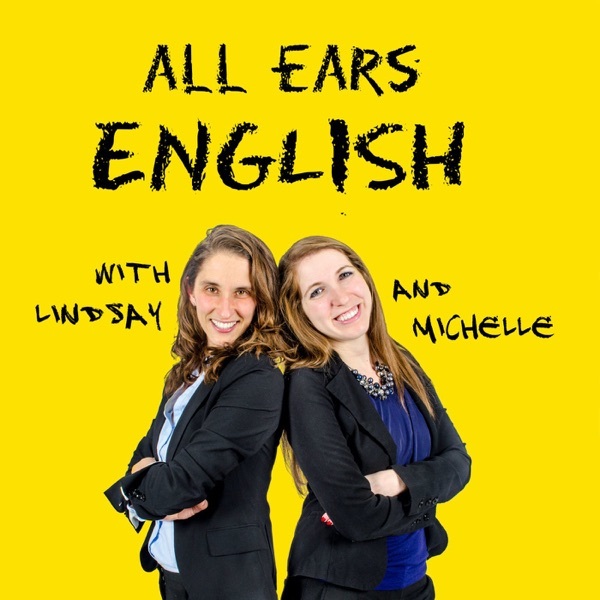 AEE 1135: Are Lindsay and Michelle Fashionable? AEE 1131: Like Clockwork! Are You Into Routine or Spontaneity? AEE 1118: Why Would the Founding Fathers Be Rolling Over in Their Graves? AEE 1116: Spring Forward, Fall Back! AEE 1115: Mom Or Mother? Dad or Father? Which One Should You Use? AEE 1112: Spilled Something? Good Luck With That! AEE 1111: Parenting and Learning English- What Do They Have in Common? AEE 1086: Would You Rather Eat Cookies or Ice Cream? AEE 1060: You're Good To Go! What Does It Mean? AEE 1058: Did We Make a Pronunciation Mistake? AEE 1053: Do Native Speakers Feel Annoyed When I Talk? AEE 1050: Flights, Guac, and Zoodles- What Do They Have In Common? AEE 1041: 3 Types of English Learners- Which Are You? 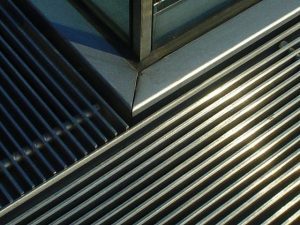 AEE 1019: Is There Any Wiggle Room With That? AEE 1018: Are Americans Narcissistic? AEE 1008: Is It Okay to Say "I Miss You" to a Teacher? AEE 985: Be Our Guest! When Should You Use This Phrase? AEE 980: What Do These Phrases Say About Parenting in American Culture? AEE 978: When Can You Use a Cliche and How Can You Introduce It? AEE 941: What You Can Learn from Our Students in Tokyo! Go here to join the webinar now. Hurry because spots are filling up! AEE 940: Is the Word Awesome Too Casual for Work? AEE 938: Listen Today! It's a Good Call! AEE 924: The Only Resource You'll Ever Need on This Topic- Period! AEE Bonus: Who Is the Skype Date Contest Winner? AEE 900: Should You Use Idioms in Natural Conversations Even If It Feels Awkward? AEE 896: Is It Important to Confirm in English? Absolutely! 100%! AEE 894: Do Americans Understand Australian English? Go here to download the app now! Click here to apply now before the price goes up! App Bonus 5: Can We Get 100 "Big Shares" By February 1st? Let's Find Out! AEE 881: Do Natives Actually Use the Past Perfect? AEE Bonus: Japanese Listeners! Are You Ready for This Magical Opportunity? Click here to get on the email list early! App Bonus 3! Download It for Free, Rate It, Share It Now! Enter to Win a Special Skype Date with Lindsay, Jessica, or Michelle. Your choice! Click here to download, rate, and review the app now! Click here to apply now. Prices go up February 1. AEE 871: Is There Ever a Good Time to Use "Ain't" in English? AEE 865: Is There Racism in the US? AEE 862: What Should You Do If You Forget the Past Tense in a Conversation? AEE 856: Do Natives Use "Likewise"? AEE 854: Should You Speak the Way You Write? AEE 851: 3 Things to Look for When You Choose a Business English Teacher with Brad C.
AEE 850: The Very American Use of the Word "Gotten"
AEE 835: There, Their, and They're- Is There Any Difference There? AEE 825: What Did You Do Over the Weekend? AEE 822: Do Americans Celebrate Columbus Day? AEE 821: Don't Be an Oddball! Listen Today! AEE 819: How Is the New York Accent Perceived in the US? AEE 813: Should You Use Words Like "Thou" and "Thus" in Everyday English? AEE 808: Should You Spend Money to Save Time? AEE 797: Jump Versus Jump Off - What's the Difference? AEE 793: Shop, Purchase, Buy- What's the Difference? AEE 784: Bathroom or Restroom? Where Are You Going and How Do You Get There? AEE 769: How to Give Advice in English Using "Should", "Supposed to" and "You Better"
Click here to apply for the Boston English Adventure! AEE 760: Do You Pretend to Understand Words in English When You Actually Don't? Hurry! Space is limited to 8 people. AEE 754: The Many Ways to Use the Word "Mean"
AEE 753: First Listening Shock: What It Is and How to Survive It! Hi Lindsay and Michelle, First of all, thank you for your hard working that you offer to help people with their English. I really appreciate your hard work. Today I have a question on how to use the word 'edge'? I hear Native say it all the time in their daily conversations and each time I hear it means differently. Do you think its meaning change depending on the situation? Or it just has one meaning? Could you please provide examples on how to use? Thanks again for your awesome job!! Sincerely, Lydia S.
L: Do you think I’ll get the job? M: You’re the most qualified! You should! L: Yeah, but I think my competition has an edge over me because her dad works for the company. M: That guy was a little too edgy for me. I like someone who is a little more clean cut. L: I know he’s a little bit rough around the edges, but his heart is in the right place. M: Can I ask you a question? L: Umm...yeah ummm M: Woah, why are you so on edge? L: Sorry, I have a deadline tomorrow so I’m kind of freaking out! What ties these uses of "edge" together? They are all about being a little bit different whether it's physically or personality wise. What do you think?? Takeaway for today: Listen to native speakers. How do they use this? What questions do you have from today? Let us know in the comments below. AEE 747: Do You Have Doubts or Do You Have a Question? AEE 740: Missing Connections When Natives Speak? Click here to get our Bridge to Connection Method Course! AEE 738: Don't Get Rained Out! Listen to All Ears English Rain or Shine! Click here to get into our new course! AEE 725: Is It Rude to Say "You Need to" and "You Should"? AEE 716: Stick With Us and We'll Show You How to Use "Stick to" and "Stick With" and "Sticky By"
AEE 715: I Suppose You'd Like to Learn the Difference Between "I Bet" and "I Imagine"
AEE 712: Empathy, Sympathy, Compassion: What's the Difference and Do YOU Have Them? AEE 708: Yeah, No, Why Do Native Speakers Agree and Disagree in the Same Sentence?